We supply high quality low cost Cat5e Patch Cables, Cat6 Patch Leads, Cat5e and Cat6 UTP FTP Cable, Cat5e and Cat6 RJ45 Modules and Face Plates and RJ45 Patch Panels. Floor and Wall Mounted Data Network Cabinets and Server Racks are available from Excel. Mini Trunking, Maxi Trunking & Back Boxes are also available. We also stock a complete range of Fibre Optic Patch leads & Fibre Patch Boxes. Payment can be made securely online via Credit Card, PayPal, PayPal Express or Bank Transfer BACS. 30 day Business Credit Accounts are available subject to suitable credit checks. 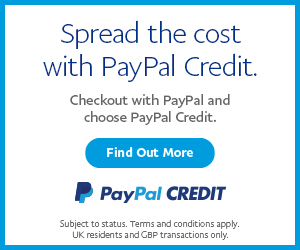 Please click our Payment Options link for further information. Schools, Colleges, Hospitals and Government departments can simply fax or send an official order and we will then supply and invoice on our standard 30 day credit terms. Official purchase orders on headed company paper are required. These may be emailed sales@network-cabling.co.uk or faxed to us on 0871 6611524. If you are not able to find what you require on the store or you have a bespoke cable requirement, please call Sales on Free Phone 0800 009 6602 as we should be able to supply or source this for you.